A new strategy aimed at promoting, protecting and enhancing the biodiversity of Clare has identified how biodiversity can boost tourism, enhance the local environment, and assist organisations and individuals working in the area of conservation and heritage. 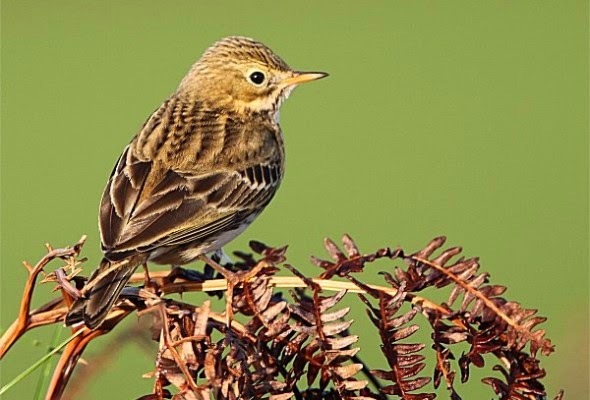 The ‘Draft Clare Biodiversity Action Plan 2014-17’, which is being led by Clare County Council, also outlines a series of actions aimed at addressing the dramatic decline in native Irish bird populations throughout the county as well as the growing threat posed by Invasive Alien Species to native plants and animals. The newly drafted Action Plan, which is presently the subject of a public consultation process, seeks to raise awareness of the threats to biodiversity, and promote best practice to avoid or minimise the threats. Among the agencies involved in the preparation and delivery of the Plan is Clare County Council, the Clare Biodiversity Group, Coillte, Burren LIFE, Burrenbeo Trust, County Clare Bat Group, Celt, the Shannon Dolphin and Wildlife Foundation and Irish Seed Savers Association. “The most effective way to achieve the conservation of biodiversity at a local level, is through a Local Biodiversity Action Plan. It is a way of ensuring that existing and new initiatives, aimed at conserving and enhancing local biodiversity, are undertaken in the context of an overall framework, and that individual projects contribute towards a common set of objectives and targets. “In raising awareness and producing best practice guidance, there is a greater focus on the ‘ecosystem approach’ which comes from Irelands National Biodiversity Plan and International guidance. This approach recognises that a species, or a habitat, does not exist independently of its surroundings, and that in order to protect an individual species or habitat, we must protect the community in which it exists, which includes all of the essential processes, functions and interactions between species, their habitats and their local, non-living environment,” added Mr. Casey. “Furthermore, Invasive Alien Species such as Giant Rhubarb, American Mink, Canadian Pondweed, Indian Balsam, Bloody Red Shrimp, Fallow Deer and African Curly Weed, which have been identified in the new Action Plan, are having a detrimental impact on existing native wildlife. Any long term strategy designed to redress the issues that are contributing to these declines is very much welcomed by Birdwatch Ireland,” concluded Mr. Murphy. The Draft Clare Biodiversity Action Plan 2014-2017 will be placed on public display at Áras Contae an Chláir, at public libraries throughout Clare and on www.clarecoco.ie from Wednesday April 2nd. The closing date for public submissions is Tuesday April 22nd.